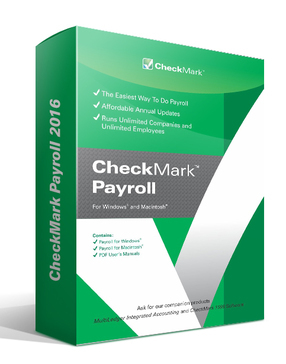 CheckMark Payroll software for Macintosh and Windows is a complete solution for do-it-yourself payrolls, small businesses, accountants, and professional payroll services. From downloading the trial to onboarding, everything went fantastic, smooth and seamless. Moving from my previous Payroll Company to a new one was giving me Goosebumps, but with CheckMark payroll software, it was like a breeze – easy to install, configure and get started. All I needed was to import my previous payroll file in .CSV format and upload it to CheckMark payroll software. I had a minor glitch during the setup and since support comes included with the software, the customer support team helped me out through phone and online access. So far, nothing. We made a request to make the payroll compatible with MAC-Sierra and it has already been completed. We like the software and using this from very long time . More accurate W2, W3 reporting within payroll. A better pay stub review and print system. No more errors in vacation and sick day calculations. In short, saves us time, and therefore, money. "CheckMark Payroll helping me to stay Compliant"
After using several different payroll companies over the decade, we finally settled on CheckMark Payroll software and it has been worth every penny, Easy to use, no recurring fee and ever-supporting customer service team who is always ready to help me. I find best software for small business owners like me. if you want to avoid recurring fee you must try this once. "Its a good software for small business like ours"
There is no monthly or recurring fee , I can do payroll for my employees daily, weekly , or semi monthly. I am using this software from almost 4 months and we are very happy with the software. One of my friend recommend this software. Initially we started with trial checkmark payroll software and we run 4 payroll for our employees without paying anything. Customer support staff its very friendly and supportive. As of know nothing much which i dislike. there is a feedback which i have given to checkmark if they can give more options on custom reports that would be very help full. I recommend this software to any small business. As a new business owners you always need something which is affordable and cut down your recurring expenses. Checkmark payroll software cut down my recurring expenses, second its very easy to use. I get everything which i needed. No direct deposit fee i can add as many as employees without paying any extra charges. * We monitor all CheckMark Payroll reviews to prevent fraudulent reviews and keep review quality high. We do not post reviews by company employees or direct competitors. Validated reviews require the user to submit a screenshot of the product containing their user ID, in order to verify a user is an actual user of the product. Hi there! Are you looking to implement a solution like CheckMark?